Amazon has some really amazing Cyber Monday deals this year. They have the HTC One for a penny. They also have the LG G2 on sale for one penny, and the Note 3 is going for as little as $169. The Samsung Galaxy S4 is not to be left out, as Amazon has that on sale right now starting at $119 on a new 2-year contract. You can head on over to Amazon and pick up the 32 GB Samsung Galaxy S4 on Verizon in Black and White for $119.99, as long as you sign a new two-year contract with them. AT&T has the Black Galaxy S4 for $124 with a new 2-year contract. It’s the perfect to upgrade to a new smartphone. These Amazon prices can fluctuate a bit based on the plan that you sign up for. The higher the dollar amount of the monthly plan, the bigger the discount on your device. The company is shipping devices that are ordered by December 4th, so you could have your shiny new GS4 before the week is over. As always, there are other options. If signing your life away to a wireless carrier for two years is not your thing, you can pick up these devices at full price as well. The prices are a bit higher, but that’s the price you pay for freedom. Verizon’s Galaxy S4 is available for $729 in White and $749 in Black, while AT&T’s Galaxy S4 is only $699 for the Black version. These are still the versions with 32 GB of internal storage, too. With all of these great deals that Amazon is running on new smartphones, it really is one of the best times of year to pick up a new device. You probably won’t find a better deal on a new Android smartphone this year. Hit the links below to grab your new Samsung Galaxy S4 and let us know in the comments how the process went for you. Some web sites are taking a pretty heavy pounding thanks to all of the Cyber Monday traffic these deals are generating. 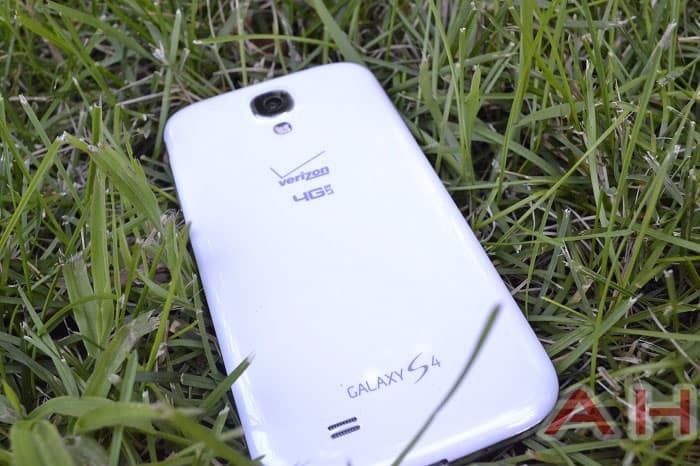 The post Cyber Monday Deals: 32 GB Samsung Galaxy S4 on Amazon for $119 appeared first on AndroidHeadlines.com |.